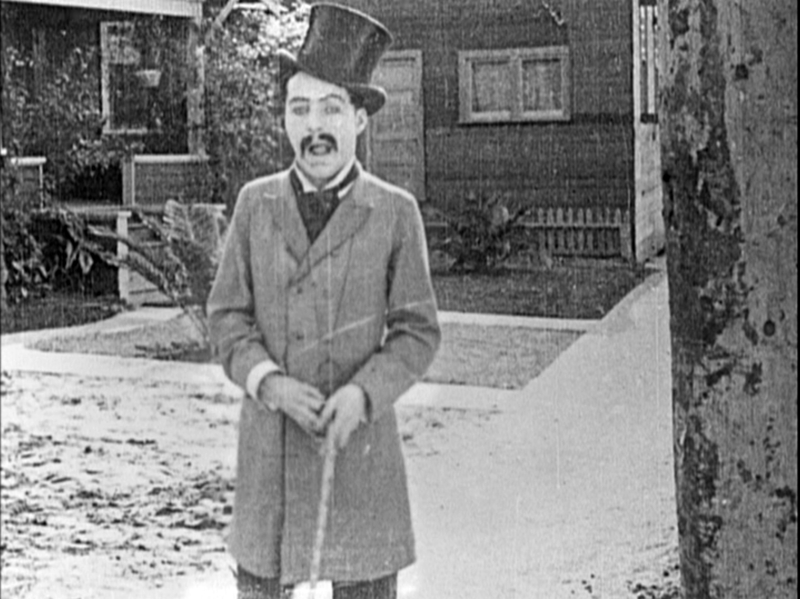 Chaplin’s on-screen debut. Movie theater audiences first set eyes on Chaplin, this image of Chaplin, on February 2, 1914, 100 years ago. 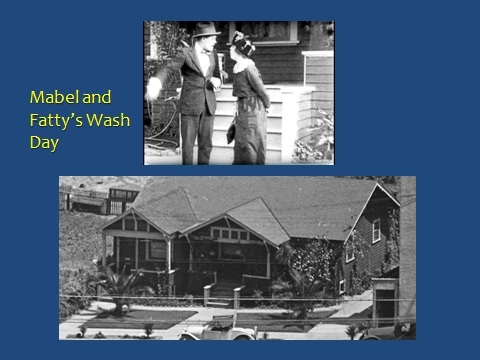 In one of my earliest posts (reprinted below), I reported that the site of Chaplin’s first scene, from his initial movie Making a Living (1914), was filmed in front of a residential porch adjacent to the Keystone Studio that is now the site of a drive-way for a Jack-In-The-Box restaurant. 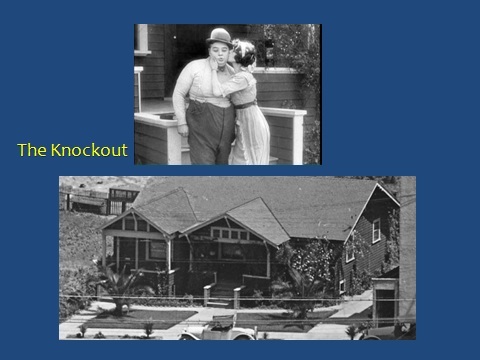 Upon further study, I realized that this porch appeared in FIVE other Chaplin Keystone films, and that the same porch appeared in many other Keystone films as well. 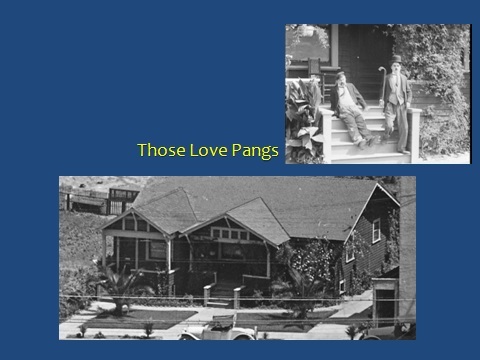 Here, below, are these five other Chaplin films, followed by five more Keystone titles, all filmed on the porch of the home that once stood due north of the Keystone Studio, where Chaplin filmed his very first scene. 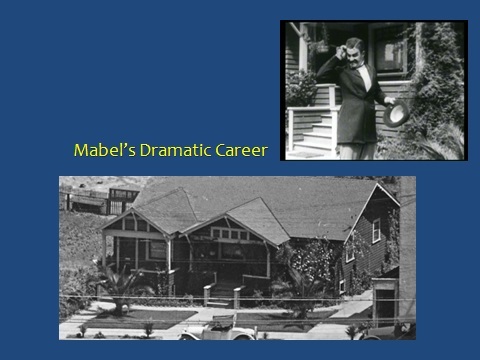 [Reprint of original post] Following the release of the Chaplin at Keystone DVD Collection, for which I prepared a bonus feature program, Kevin Dale contacted me wondering if Chaplin had filmed the opening scene from his inaugural film Making a Living in front of the home adjoining the Keystone Studio. The Keystone Studio environs frequently appear in Keystone productions, and after close study I am convinced Kevin is correct. 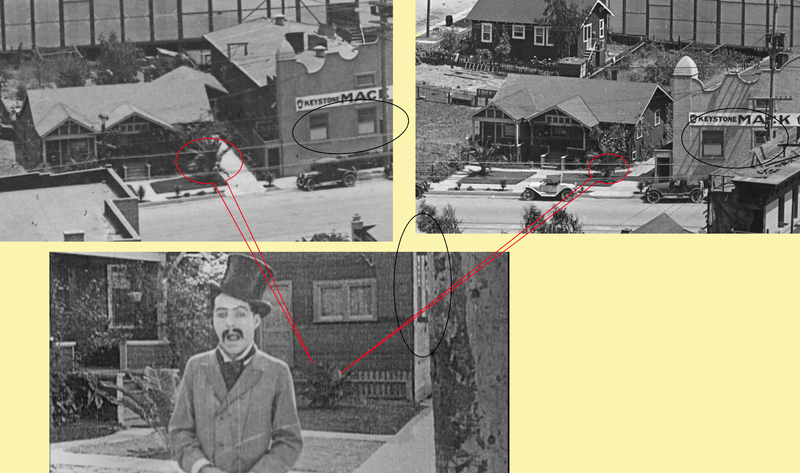 Assuming they shot Making a Living in sequential order, this marks the very first scene of Chaplin’s entire career. 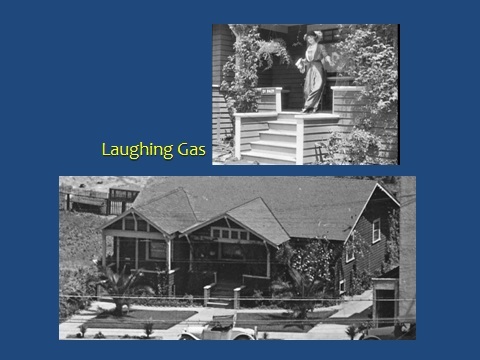 It also means that when the film opened on February 2, 1914, 100 years ago, it was through this scene that movie audiences were first introduced to young Mr. Chaplin. 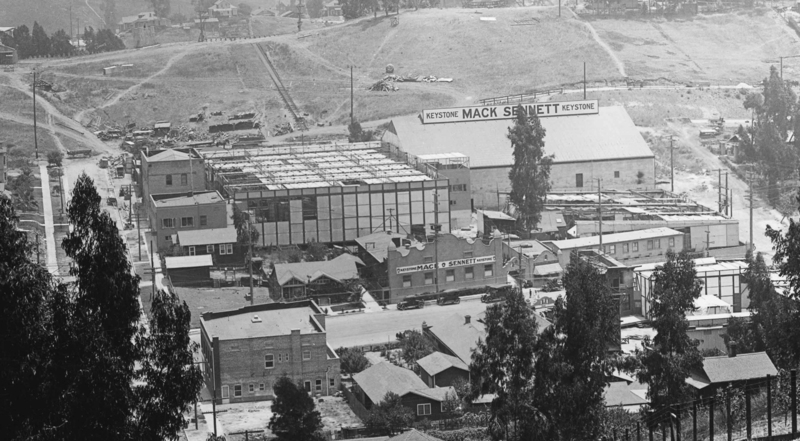 The site is now a driveway to a Jack-in-the-Box restaurant, while the main filming stage remains in use today as a Public Storage warehouse. 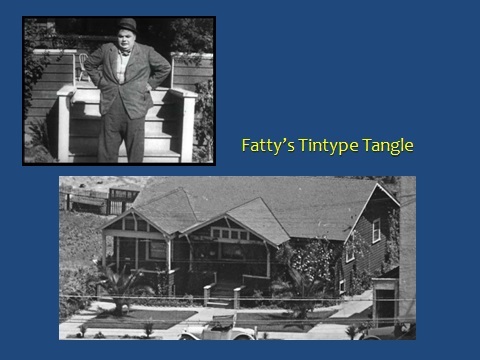 Comparing details likely confirms the location. 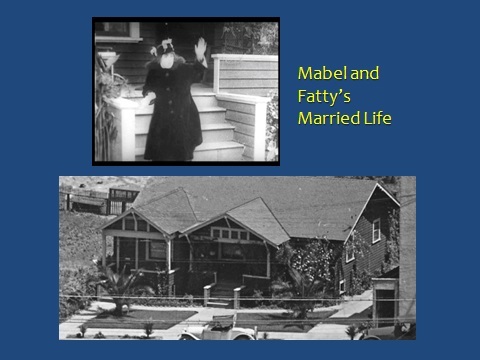 Notice the matching white trim of the square front porch steps, and the matching pair of palm trees. 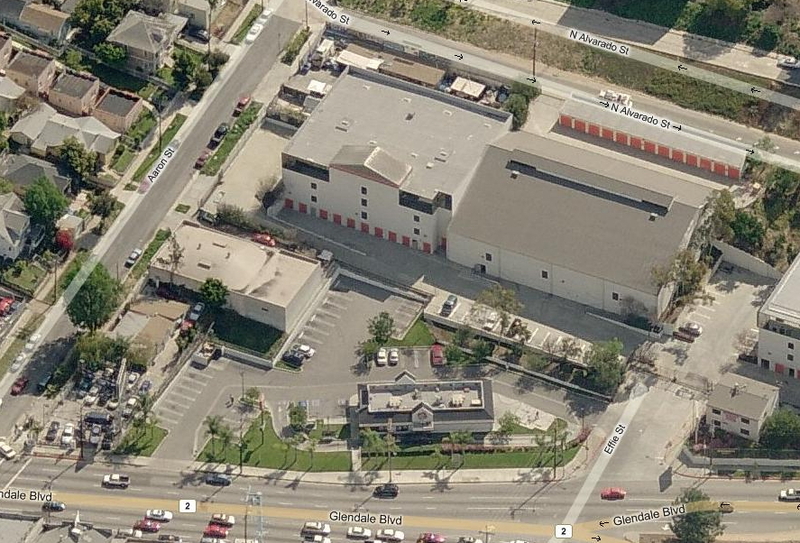 The site is located approximately at 1710 Glendale Boulevard in Echo Park. Bing Maps Bird’s Eye – © 2010 NAVTEQ, Pictometry Bird’s Eye © 2010 Pictometry International Corp., © 2010 Microsoft Corporation. Chaplin at Keystone: Copyright (C) 2010 by Lobster Films for the Chaplin Keystone Project. 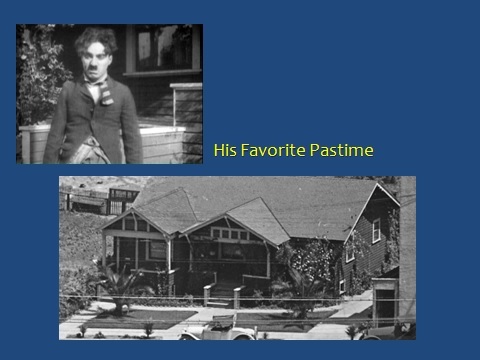 This entry was posted in Chaplin Tour, Charlie Chaplin, Keystone Studio and tagged Chaplin 100 years, Chaplin at 100, Chaplin Centennial, Chaplin Tour, Charlie Chaplin, Keystone Studio, Making a Living, Silent Comedians, Silent Comedies, Silent Movie Locations, Silent Movies, then and now. Bookmark the permalink. films but I guess I was too busy (lazy!) to jot them down. It should be every Chaplin fan’s goal to one day eat at that Jack-In-The-Box. I doubt that anyone working there has the slightest idea of the site’s history! Can you imagine?? 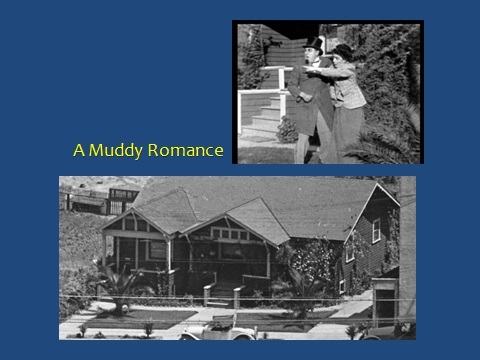 Such a goofily unromantic location, too…wait, that actually sort of fits. I ate there in 2008- it was very good. The ‘Arbuckle’ burger was a little ‘fatty’ though! Thanks Kevin – I am confident that porch will keep showing up as more films become available on DVD. 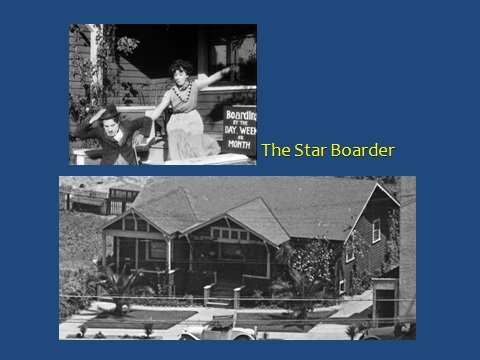 I imagine that home was owned by the studio – it was torn down years before the studio moved to its new location.